The Lotus Design Premium yoga mat comprises of high density foam with embedded polyester fabric ensuring great stability and durability. This 4.5mm (0.2”) thick mat is particularly tight, stretchy and shock absorbing making it an ideal choice for yoga schools and advanced practitioners. The mat is environmentally friendly and skin-friendly for small children and babies (Öko-Tex 100 Standard certification). It is 183cm (72”) long by 80 (31.5”) wide and can be machine washed up to 30 degrees Celsius. for submitting product information about Lotus Design Premium 183 x 80cm Yoga Mat We aim to answer all questions within 2-3 days. 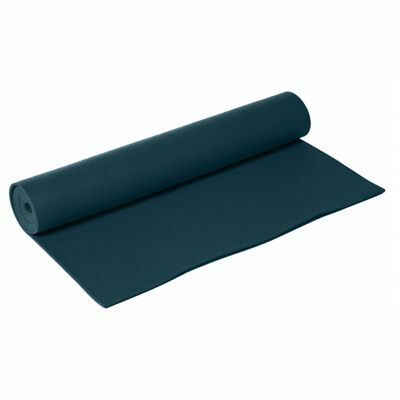 for submitting product information about Lotus Design Premium 183 x 80cm Yoga Mat. We aim to answer all questions within 2-3 days. If you provided your name and email address, we will email you as soon as the answer is published. for submitting product review about Lotus Design Premium 183 x 80cm Yoga Mat.